This article is part of an exciting series we launched in 2018 called Today’s Wonder Women – designed to celebrate the inspiring, impactful, empowering and extraordinary things ordinary women are doing every day. Over the coming months we will be sharing interviews, essays, articles and guest posts about women who are creating change. If you have a story to share and want to add your voice to the Today’s Wonder Women conversation, get in touch by emailing info@girltalkhq.com. We’re big believers that the future is in good hands, and all we have to do is look at the younger generation to see the amazing things they are doing around the world. Two such change-makers are sisters Mena and Zena Nasiri, from Rochester, Michigan. They are the creators of a non-profit organization called Girls Of The Crescent, which has been getting some press attention lately. 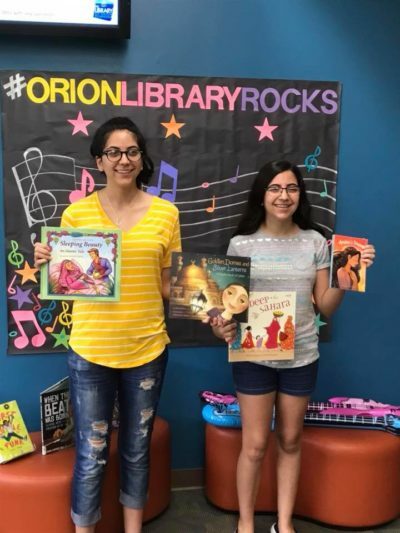 These self-described avid readers who are striving to make a difference in the world spend a lot of their time in libraries and their school media center. They came upon a problem that women in Hollywood are all too familiar with – the lack of representation. 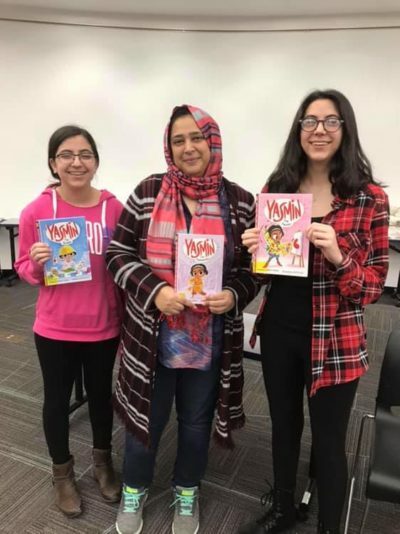 Specifically, Mena and Zena were concerned that as young Muslim women, they were not seeing enough nuanced and varied narratives in books and media that featured positive representations of Muslim women and girls. 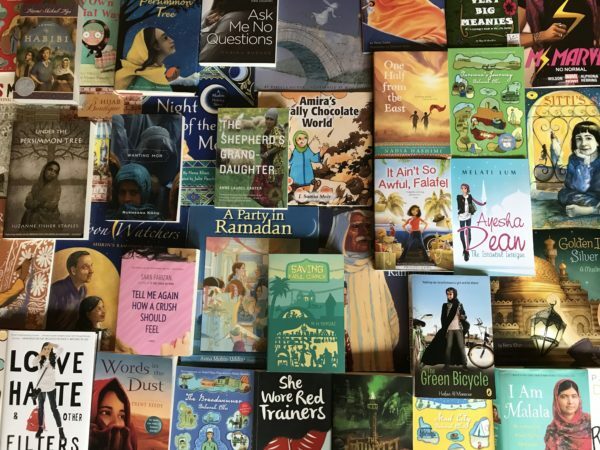 As they describe on their website, they couldn’t find enough books with female Muslim main characters that they could connect with, and they grew up longing to see themselves in literature. 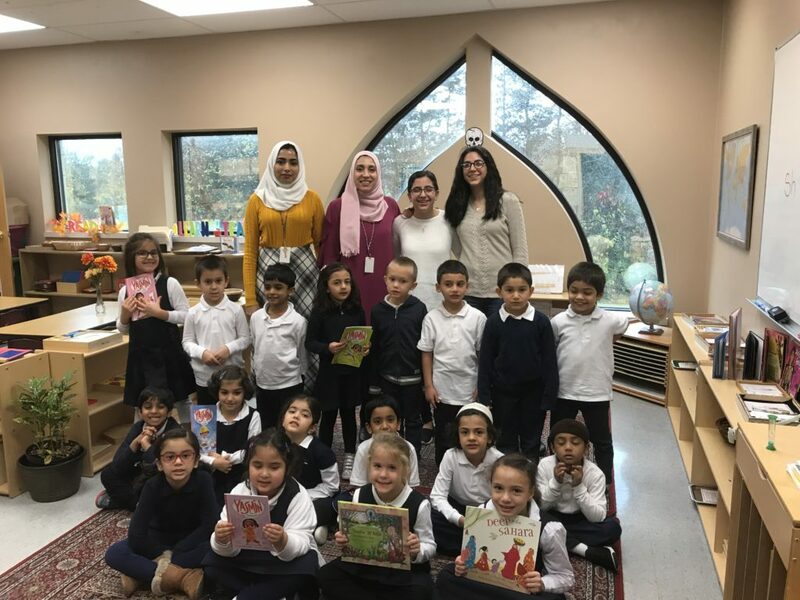 To address this issue, they held a book drive in their community to increase the number of books with female Muslim roles in our school media centers. With so many stereotypes of Muslim women in our culture, what these sisters are doing is disrupting the status quo and showing others how no matter who you are or where you live, you can make a difference in the world. 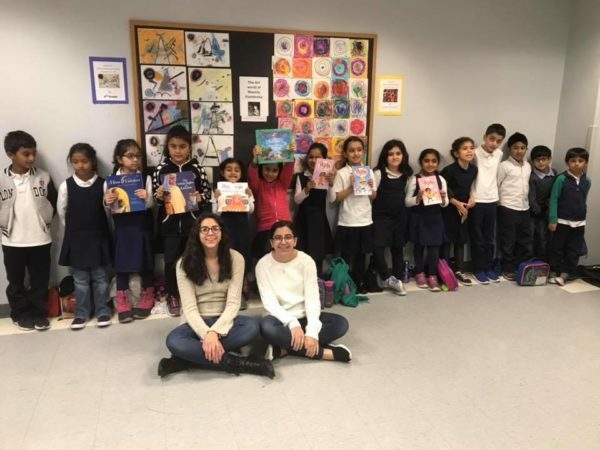 The ultimate goal is to make sure that children like them will be able to read books with characters like themselves and to increase diversity in literature. The girls reached out to us via Instagram to share about their organization, and we jumped at the chance to feature their mission on our site. How did the idea for Girls of the Crescent come about and what does the name mean? MENA NASIRI: In 4th grade, we were given a school project to research about a person who we looked up to. We both went to our public library with female Muslim women in mind that were huge role models to us and we couldn’t find any books about them. Later we began to realize the same thing occurred in other genres, that there was a shortage of books about Muslim girls. That’s what gave us the idea to start Girls of the Crescent. ZENA NASIRI: The name Girls of the Crescent comes from the crescent moon being the symbol of Islam and us being girls helping other girls. As avid readers, what kind of books you both love the most, and what are your favorites? ZN: I love all types of books from autobiographies to fantasy adventure novels, but I tend to mostly read young adult romance novels. My favorite of those are books that also focus on outside issues, one of those books being ‘The Lines We Cross’ by Randa Abdel-Fattah which is my favorite book. It’s about a female Muslim teenager who immigrated to Australia as a refugee. She has to face lots of anti-immigration sentiment while also juggling school and it incorporates lots of teen romance. MN: I have found myself enjoying a lot of books assigned in school, from ‘The House of the Scorpion’ to ‘The Curious Incident of the Dog in the Night-time’, which are both about a unique character trying to fit in with the rest of the world. My all-time-favorite book is ‘The Lines We Cross’, like my sister said. I think a big part of it was reading about a character with my name and it was really enjoyable and eye-opening to read about someone so similar to me. When you started looking for more books that featured stories about Muslim characters, what surprised you the most about what you found? ZN: One of the main things that surprised us when we were looking for the books was how many there were. When we were talking about our project with people we would always get comments about how difficult it must be to find books with female main characters, but there are so many. There just isn’t awareness about them which is one of the things we are trying to improve. Can you share some of the books you learned about in your search that you hadn’t heard of before? MN: Honestly, we hadn’t heard about nearly all of the books on the list. Libraries and schools just don’t have them so we had never heard about them before. A lot of the children’s books sounded so fun and we wished that we had learned about them earlier so we could have experienced representation when we were younger. We hope that the list we have compiled is able to allow young girls like us to not miss the great opportunity of representation in books. The new Ms. Marvel features a Muslim female character at the center, Kamala Khan. Why you you think it is important for comic book fans to learn more about the lives of Muslim kids in America today? ZN: Comic books are a fun form of entertainment especially for something as great as the Marvel universe. It’s really nice for Muslim fans of the comics to see themselves, but also for people who are not Muslim to be exposed to people who are different from them. The comics have such a good blend of Kamala Khan‘s religion and ethnicity combined with her super hero plotline and it’s nice to know that people who are not Muslim are able to see the daily life of a Muslim girl while also seeing her beat bad guys and save her city. How do you think books can play a role in shaping our perceptions of the world and the people around us? MN: A lot of people are not exposed to diversity in their communities and schools and books with representation can provide that exposure. Books with Muslim characters can be focused more on religious aspects or simply include a character who is Muslim. Either way, these books are able to shape people’s perspectives of society by showcasing diversity and providing a new point of view. Also these books can mean so much for Muslim kids themselves by providing them with a sense of acceptance and inclusion in the world that they may not see portrayed in the media or in their communities. Since starting your book-finding mission, how are you working with libraries and schools to help them diversify their collections? ZN: We have donated books from our list to libraries and school and we’ve also seen that many of them have used our list as a reference to add books to their collection themselves. 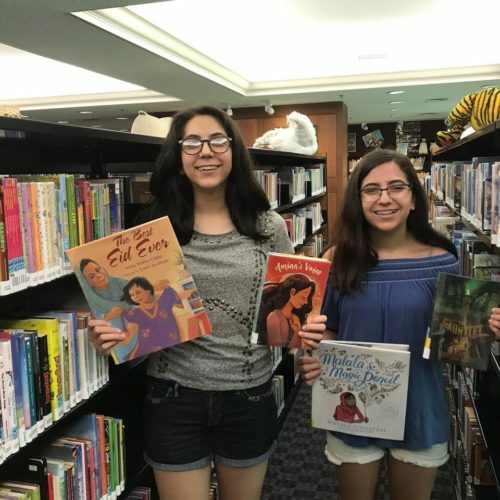 We’ve also had many librarians tell us that our project has inspired them to diversify their libraries by adding books featuring many different cultures, ethnicities, races, and religions. Have you had any negative reactions since launching the non-profit? MN: All of the people that we have talked to and worked with have been extremely supporting and positive. We are so grateful to have the support of friends, neighbors, librarians, teachers, and authors. People are excited about diversity and when they hear about our organization and what we do, they are always impressed and happy. How do you hope other kids will benefit from reading the collection you are putting together? ZN: We hope that Muslim kids will be able to feel the same sense of belonging that we felt when we first read a book with a Muslim character and we hope that people who are not Muslim will be able to be provided with a different perspective. How many books have you collected so far? MN: So far we have collected and donated over 300 books to various schools and libraries around our community and we have also inspired many to buy more books with diverse characters from our list. Right now across America there is a lot of fear and hatred toward minority communities. How can an organization like yours work to dismantle harmful ideas and promote inclusiveness? MN: There are a lot of biases and stereotypes centered around Muslims that are portrayed in the media and throughout our world today. 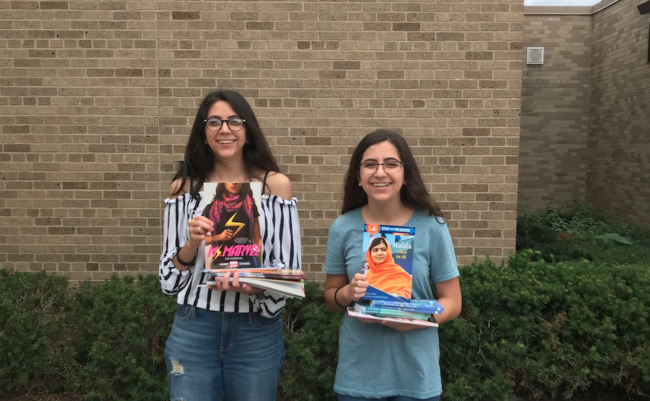 Both my sister and I have personally experienced ignorance and hate because of our identities and we hope that by increasing diverse books and by spreading positive messages about Muslim girls, we can create a more accepting and respectful community. What are your future plans for Girls of the Crescent? ZN: Right now we are doing a fundraiser and our goal is to reach $2,500. We want to extend our reach regarding donations that we receive and donations that we personally make to schools and libraries so that we can impact as many people as possible. We also have many interviews planned that will hopefully raise awareness about our cause. What makes you both powerful women? MN: Receiving support from people around me is always so encouraging for me to work harder and not give up. I think that I am my own strongest advocate and the fact that I am so passionate about what I’m doing makes me excited and ready to impact people. I love being able to tell people that I am a Muslim woman and that I have also started a nonprofit and done many accomplishing things. It is a great feeling to prove common stereotypes wrong and show people what Muslims and women can do. ZN: It is a powerful feeling to face an overwhelming obstacle then to be able to push through and overcome it. I have been faced with many obstacles in my life, from just being a Muslim woman to being a teenager running a nonprofit. I’m proud to be able to say that I have impacted people, and knowing that girls like me will feel empowered and strong because of my actions helps me keep going. I think that any woman is powerful if she is able to put her mind to something and do what she loves.